The Carabiniers project is now online! 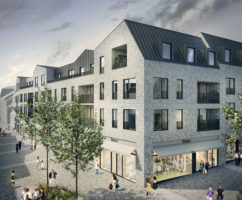 With its vibrant mix of housing, stores, a polyvalent space and underground parking facilities, it contributes to the urban renewal of Wavre's city centre. Learn more about the project on its project page. See you at Mipim !